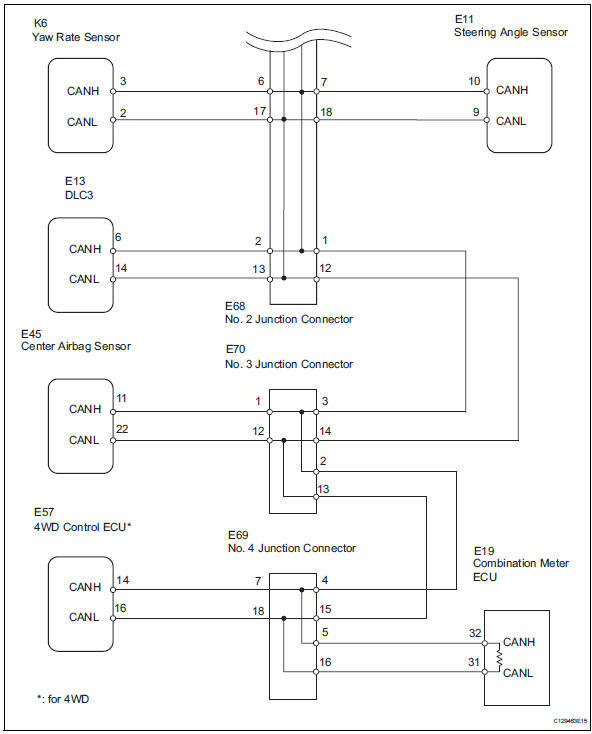 Perform the following inspection for the ecus (sensors) which are not displayed on the intelligent tester. 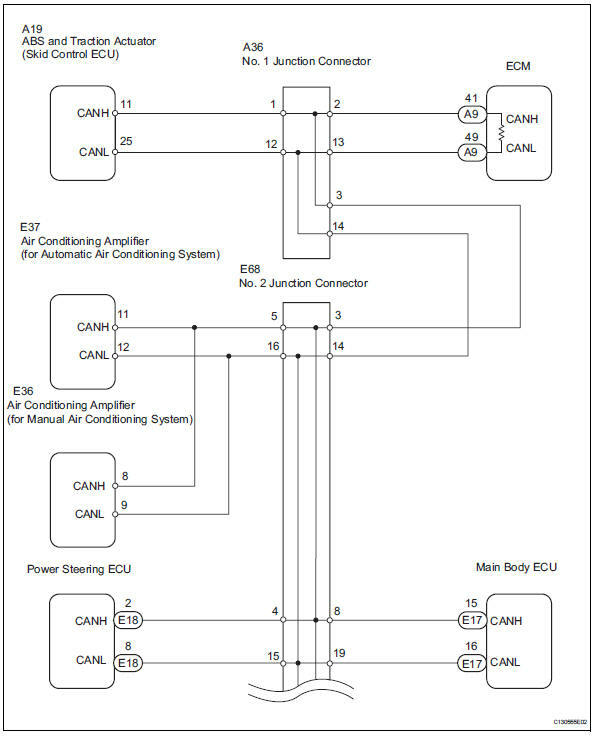 If a malfunction cannot be identified, perform the following inspections for the ecus (sensors) connected to the can communication system. 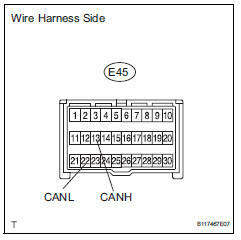 Do not remove the combination meter and ecm, as they are the end parts of the circuit. 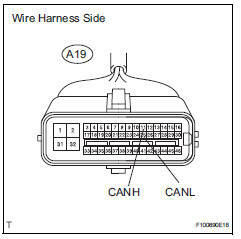 If removed, can communication will not be possible. 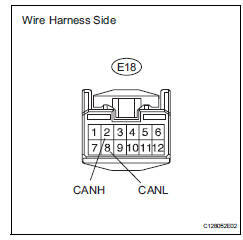 The open circuit confirmation of the combination meter, ecm and main wire is performed in the check can bus line procedure of how to proceed with troubleshooting. 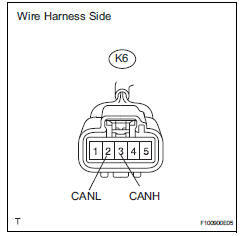 This inspection only has procedures for checking for an open circuit on one side of the can branch wire. 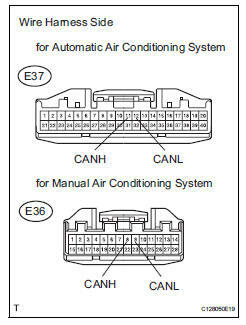 Select "bus check" on the intelligent tester display via the can vim (see page ca-34). 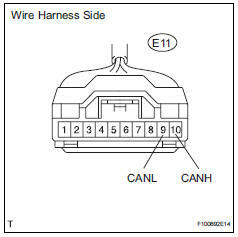 Disconnect the e11 steering angle sensor connector. 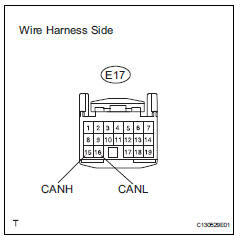 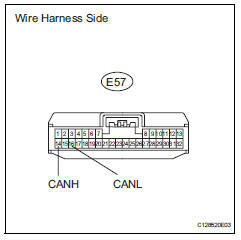 For vehicles without 4wd, go to "check for open in one side of branch wire (center airbag sensor assembly branch wire)".